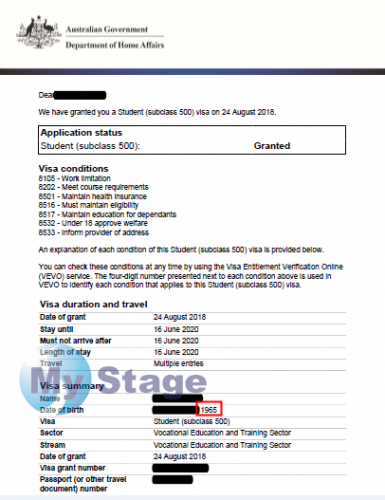 Everyone might have already noticed that lately more cases of Australian visas have been refused, rejected or cancelled without requesting additional documents which means the immigration has decided to screen the ‘GENUINE’ students. 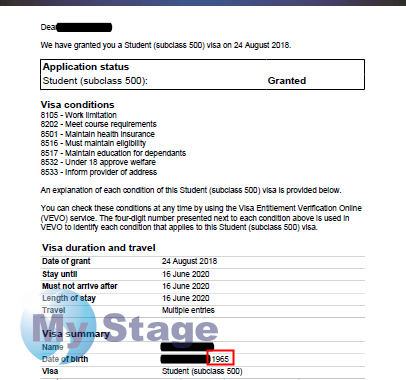 While a lot of visa applicants are struggling in/out of Australia, we have such a great news from one of our students whose visa has been recently granted successfully! She said she’s been to different education agencies in Sydney and it was refused all the time as it seems to be ‘NOT EASY’. And, we are extremely happy to see her starting another chapter of her life in Australia with MyStage! So not a difficult thing to MyStage! If you need any assistance in Australian visa applications, feel free to contact MyStage. We are here to help.